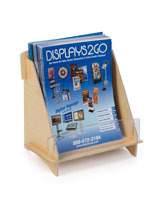 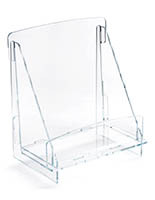 This flat pack magazine holder is the perfect brochure display for any desk, countertop in the office or at a trade show booth. 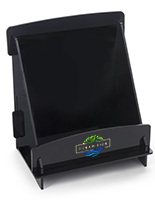 The 8.75” pocket is designed to fit larger media promotions. 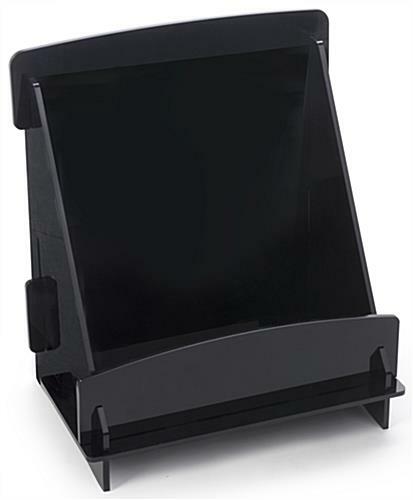 The knock down magazine holder is shipped and stored unassembled, making it the perfect option to save space. 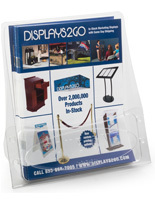 Setup is a cinch; simply interlock the acrylic panels and your brochure display is ready to go! 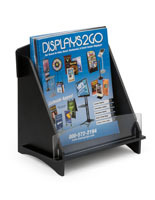 The magazine holder features one large pocket with an black front panel for a sleek, modern look. 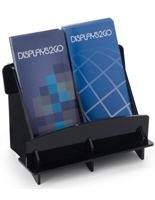 Outfit your office desk or trade show booth’s tabletop today to promote your products! 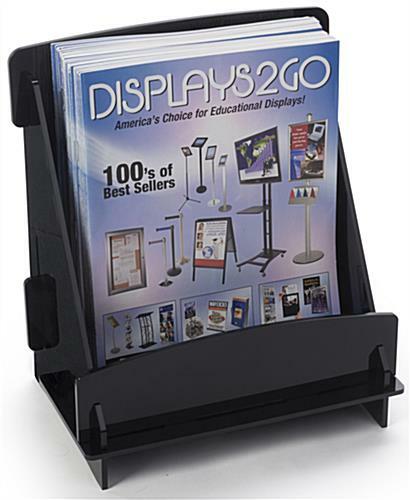 17.4" x 11.6" x 7.0"
8.8" x 10.3" x 4.8"
I plan 30+ table top trade shows a year and I found these over the summer, FANTASTIC. 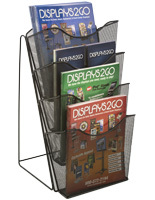 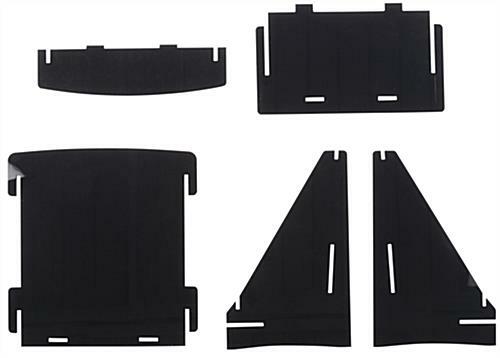 They fold up, easy to use and look great. 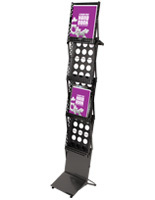 Would highly highly recommend.